First things first: What is Caller ID Spoofing? Caller ID Spoofing means simply, to intentionally change your Caller ID when making a phone call. This can't be done on your own, since it requires special equipment and software - that's why you need Itellas. In most cases, the phone company of the person you're calling will trust whatever Caller ID they receive, and will pass it on. That means the spoofed number not only shows up on their phone, but on their bill, too! How do I control the name that shows up on Caller ID? Unfortunately, this can't be done by any spoofing provider. Can we send a name along with the number? Absolutely. Unfortunately, the phone companies will ignore it in 99% of calls. The reason is because there is a national database of names and numbers, which every phone company is tied into. Because the Caller ID Name technology came along later, it's designed differently. Carriers will take the number portion of the Caller ID that they get, and match it against the database, and show THAT name to the customer. So if you spoof the number of a local pizza place, be prepared to have THAT name show up on Caller ID. If you spoof a bogus number (one that doesn't exist), it will likely show the recipient something like "Unknown Name", and the spoof number. Yes, It's 100% legal! There is a law named "The Truth in Caller ID Act", which President Obama signed in 2010. This law does not prohibit Caller ID Spoofing, but rather states that it is illegal to make spoofed calls "... with the intent to defraud, cause harm, or wrongfully obtain anything of value ...". The law even makes special provisions allowing politicians and law enforcement to use spoofing for their own reasons. In short, spoofing is perfectly legal. Just don't use it to break the law! How do I use Caller ID Spoofing? It's so easy! There's no hardware to buy or contracts to sign. First, you just have to get signed up with Itellas. Then, just call one of our many access numbers (these are available on the Support page, once you become a customer), and follow the prompts. The system will guide you step-by-step through making a spoofed call - including features like Call Recording, and Voice Changer. Just answer the questions and then the call starts ringing. Now, if that sounds too cumbersome and slow, don't worry! Itellas offers QuickSpoofing, a technology that allows you to make calls at lightning-fast speeds. 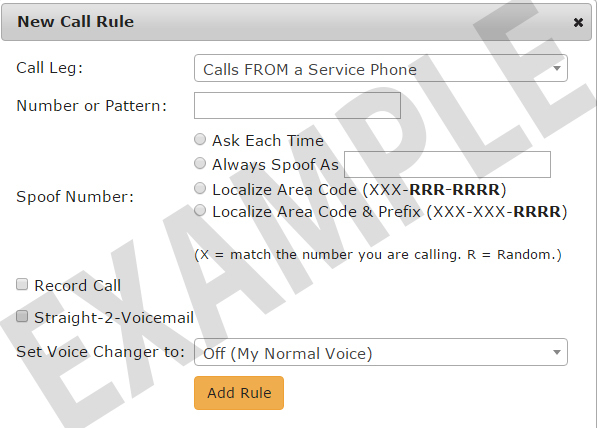 We even have a patented feature named Call Rules which allows you to pre-define a set of rules that controls your spoofing, so you don't have to answer the same questions for each call. How does Caller ID Spoofing help me? That question is answered here. 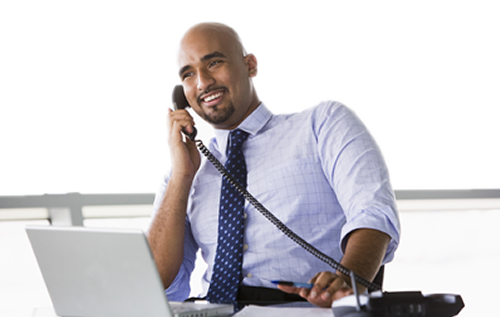 Check out our Benefits pages to learn how Itellas Caller ID Spoofing can let you take control of your communications.